I know that sounds like a cheesy statement. 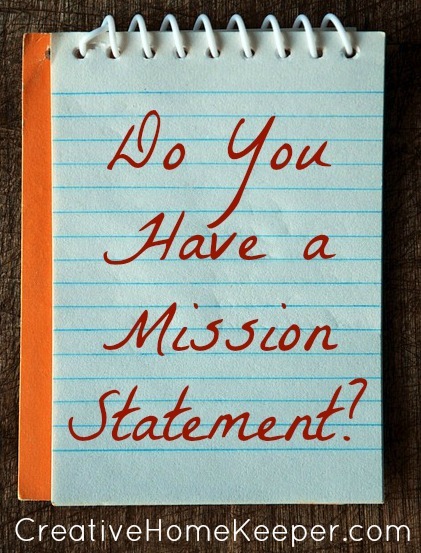 When I used to hear the term mission statement I was reminded back to college when every education class I took, I had to write a mission statement based on my philosophy of education. Or I think of companies who are try to market a product or service. Well let me tell you it can! 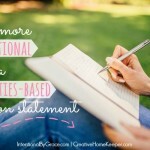 A little over a year ago I came across this Mission Statement for Moms ebook over at Inspired to Action. It has become my absolute favorite resource for creating my own personal mission statement. 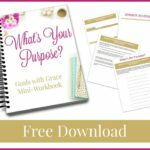 When I started out writing mine, my purpose was to become a better mom by having a motherhood mission statement. However as I worked through the process I quickly realized that having a personal mission statement applies to so much more than motherhood. So even if your not a mom, I would still encourage you to create one. 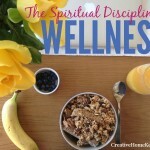 There are a few steps to work through, so find a time when you can have an uninterrupted time. I worked on mine at a coffee house while my kids where with their grandmother. Step #2: Put your roles in order of the most important to you. I wrote mine above in the order of importance to my life. I’m a Christian first which flows into every aspect of my life life, including my marriage and mothering my children. From there my other priorities flow into a natural order. In other words, organize or prioritize which are the ones that you must do. Look at your top roles, and think of verbs or adjectives that define what you do in each of those areas. Use the words to map out into action sentences. You’ll want to do this for each of your roles you prioritized in step 3. Once you have written out your action sentences, you pretty much have the basis for your mission statement. It is encouraging to read it several times, even have your husband or a close, trusted friend read it to to give you feedback. 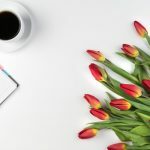 Once you have a finalized mission statement, type it out, make it pretty, and put in a place (or multiple places) where you will see it everyday. Mine is located in my home management binder, but I’m also going to place it in my bathroom as a reminder to myself every morning while I’m getting dressed. Tomorrow I will share with you my personal mission statement, so be sure to check back! Good information, Victoria. This is something I’ve never been good at but need to do so I appreciate the steps you shared.